Around 2002 my husband Rowland was diagnosed with a Bipolar mood disorder (previously known as manic depression, a mental disorder that causes periods of depression and periods of elevated mood) a genetic condition which runs in his family. It was a very difficult diagnosis at the time especially due to the fact that many people, including ourselves, did not understand the illness at all. The congregation Rowland was leading at the time, Covenant Life Church Benoni (CLC) was very understanding of his condition but after many episodes of deep depression and some mania (elevated moods) it was decided that it would be better for Rowland (and the church) to hand the leading of CLC over to our son Daniel in January 2013. In June 2013 we were asked by Andrew Selley to relocate to Cape Town and become a part of Joshua Generation Church (JoshGen), this was confirmation for us as we had both felt that God wanted us to relocate even before Andrew asked us. We moved to Cape Town in August 2013 with mixed emotions, knowing this was God but at the same time feeling the sadness of leaving our friends, grandchildren and sons and daughter in laws behind in Gauteng. At this time Rowland had come out of depression and was in remission, which is a Bipolar term meaning ‘stable with no episodes’. He was doing very well and we slotted into JoshGen’s Durbanville congregation like a ‘hand into a glove’. It was such a God-gifted fit, the people loved us and accepted us and we felt like we were home. It continued like this for the next 3 years as we were knitted into JoshGen and Four12. We both felt that the Bipolar was behind us and that Rowland was in permanent remission and we were so excited for the future God had planned for us. In May 2016 Rowland started to have chest pains and struggled to do any exercise as he could not breathe, after much deliberation he went to see a cardiologist in July 2016 and was told he needed to have an emergency triple heart bypass. The cardiologist told us that if Rowland didn’t have it he would make it to Christmas. On the 27th July, he underwent surgery and thus began the toughest 18 months for us. We both knew that major surgery could trigger the Bipolar all over again but we had no choice. We had to face the reality that it was either Rowland’s death due to his heart condition or the possibility of the Bipolar beginning again… of course it was a no-brainer choice. After his operation, we at first thought that he had escaped the Bipolar onset, but as time progressed we saw that Rowland’s emotions were all over the place and he began with a manic episode. He went back to see the psychiatrist and started taking medication for the mania and we were hopeful that it could be controlled and he would go back into remission. Unfortunately, 7 months later his depression began and we were we both needed God’s enabling grace afresh. I could not face seeing Rowland going through another episode of depression and he could not face going through it himself. When Rowland experiences depression it is extremely debilitating and he cannot function on any level. I wanted to run away and the fear of what he was going to go through gripped my heart. I was a total mess and I knew Rowland needed me to be strong to help him through but I couldn’t do it on my own. As I spent time crying out to God to help us I experienced something like I had never experienced before. God’s enabling grace came upon me and I suddenly felt strengthened and full of courage, I knew I could face what was before us. I knew from past experience that this episode was going to last for at least 6 months and that it was going to be extremely tough because with every episode the depression is worse than the time before. I knew what was in store for both of us. I was not wrong – the depression hit and it was worse than ever before but as I watched Rowland wrestle with the depression God gave me supernatural courage, strength and peace. I even saw God’s grace on Rowland. As he fought the depression God gave him courage. Rowland didn’t give up, not once, he pressed into God, never asking why. I can’t explain in words what it was like watching Rowland struggle, but I can say that I witnessed something supernatural that will change my life forever. The courage we both felt was unbelievable and could only come from God. It has now been 7 months since Rowland started with the depression and I can say with confidence that God has brought him through it. The depression has lifted completely and we are confident that Rowland will go back into that place of remission that he was in four years ago. We know, and the cardiologist and the psychiatrist has confirmed it, that it was the surgery that brought the episodes on, but no matter what the circumstances are we know it was God’s enabling grace that brought us through the hardest season of our lives to date. We give Jesus all the glory and we know that He will use our struggles for His glory. We would also like to thank our JoshGen and Four12 family for standing with us in prayer, in love and in encouragement. Patti serves alongside her husband Rowland in a leadership role at Joshua Generation Church meeting in Durbanville. A devoted wife, doting grandmother and very proud mother. 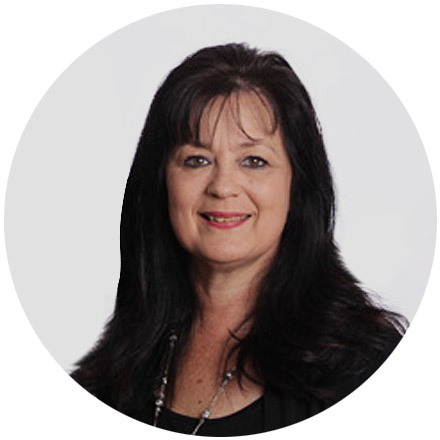 Patti is passionate about prayer, the prophetic and seeing people being set free by the power of God.